Usual Example: John and Mary are married and own a home together. The deed names them as “Joint Tenants.” John dies. Mary files an “Affidavit of Surviving Joint Tenant.” She is now the sole owner of the home. The property is not subject to probate or claims of John’s estate. Common Mistake: Mary thought that it worked pretty well when her husband died and thinks that this would be a great way to pass on property to her children. However, this can lead to disastrous consequences because every person named on the deed becomes an owner. Each “Joint Tenant” has the right to occupy the whole of the property but cannot exclude any other Joint Tenant. • Occupancy rights of co-tenants. Unintended Disinheritance: Sue dies first and Mary dies second Doug will own all of the property and Sue’s children will receive nothing. Liens: Doug has financial problems (gets sued, tax liens, filed bankruptcy or gets divorced). Doug’s interest in the property may be subject to liens or claims that may prevent the property from being sold or mortgaged. Greed: Sue becomes estranged from the family and files a lawsuit to have the property divided. Or she could sell her interest in the property to somebody else who can take the same action. No Asset Protection: Property held in joint tenancy is not protected from creditors and predators. Inflexibility: Agreement of all of the joint tenants is necessary in order to sell, mortgage, lease or change who will inherit the property. 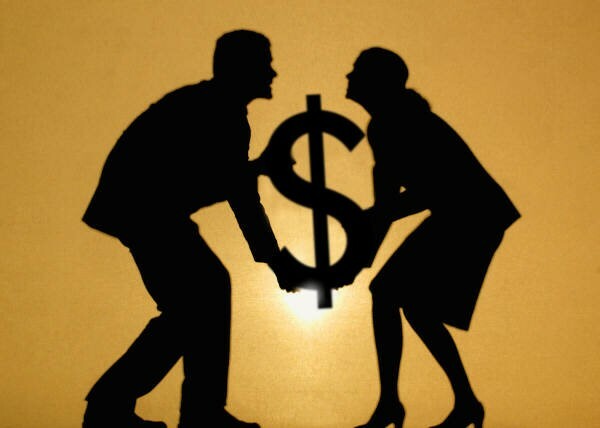 Even if they are agreeable, financial troubles of one of the joint tenants may prevent or complicate the transaction. Once property is placed in Joint Tenancy the financial problems of the others named in the deed can result is loss control and possible loss of the property.